They’re won over by the Gothic architecture of the Parliament buildings, the cleanliness of the city, the Rideau Canal’s attractiveness and the lively atmosphere of the Byward Market. I spent a couple of weekends in the city this summer and found that its winning qualities continue to endure. Ottawa is an easy city to get around, has a tremendous amount of cultural attractions to enjoy, a growing number of quality restaurants, and citizens who are pleasant and laid-back (including some of those who are politicians). Next time, you’re in the nation’s capital, consider planning your visit around these activities, restaurants and lodgings. Ottawa has been criticized, and rightly so, for not offering enough in the way of outstanding hotels. Aside from the Fairmont Chateau Laurier and the Lord Elgin, there aren’t enough five-star accommodations, and the chains in town, while reliable, don’t offer much in the way of personality. Hotel Indigo, I was happy to find, is a mid-priced boutique hotel affiliated with Holiday Inn that offers what a good hotel should: a marvelously comfortable bed and pleasant customer service. It’s also reasonably priced. You can reserve a room for a weekend night in October for $140 or less on the hotel’s booking engine. At this price range, the room was the second-best I’ve ever stayed (the best being the abundantly delightful Le Petit Hotel in Montreal). At Indigo, the hardwood floors add warmth, the bathrooms are spacious and the plush beds easy to sink into. Room-darkening curtains, flat-screen TVs and complimentary WiFi access are other plusses that made this an enjoyable stay. The hotel, at 123 Metcalfe Street, is also a five-minute walk straight north to Parliament Hill. On the minus side was the breakfast in the hotel’s Phi bar. The food is mediocre and the service tedious. The biggest drawback, though, is parking. The lot, beneath the adjacent Marriott, is typical of Ottawa underground garages: dark, frighteningly tight and desperately in need of renovation. If you’ve got a big car, you’re going to be in for a potentially stressful experience trying to get in and out of a spot. Smoque Shack – Recently opened in August, the Smoque Shack is a barbecue joint that hooks you the minute you walk into the dining room and smell the flavour of the food wafting in from the kitchen. It’s a casual place with fair prices and some seriously tasty stuff, including a wonderfully spiced Jerk Chicken for about $12. Numerous side dishes range from $3-$5. 129 York Street. Murray Street – One of Ottawa’s most respected restaurants, Murray Street is an eclectic spot that offers charcuterie platters as well as some of the area’s finest local cuisine. The menu constantly changes as the kitchen relies on local, fresh ingredients as much as possible. Murray Street has a relaxed environment for a fine-dining restaurant. The featured lamb special was a highlight. Tender and succulent, it lacked gaminess that sometimes hinders the taste of this meat. If it’s on the menu, also try the smoked trout appetizer ($13), a creative dish that comes in a fried ball with eggplant relish and potato slaw. For cocktails, try the Dark ’n Stormy ($8.5), which includes homemade lime juice that lightens up both the appearance and the taste of the traditional rum drink. 110 Murray Street. Zak’s – Celebrating its 25th anniversary, this diner is a god-send for anyone in need of some late eats after a long night out in the Byward Market. Zak’s serves all-day breakfast and a lot of other dishes that nod to the American diner. The food is good but the best thing on the menu is the Breakfast Smoothie ($5.49), which is served in a tall parfait glass alongside the steel container it was blended in. The container comes with enough extra to fill a second glass. It’s delicious, it’s a great deal and you’ll be back for seconds, er, fourths. It’s made with fresh fruit and frozen yogurt. 14 Byward Market Square. The Black Tomato – The first time I ate at the Black Tomato was in 1999. I had Chicken Curry Puff Pastry that won me over to the point where I tried duplicating the recipe at home. It was also the restaurant where I first heard the music of American Analog Set, a supremely talented band from Austin, Texas, that’s influenced Broken Social Scene and other bands you’re familiar with (they’re also now on the Arts & Crafts label). The restaurant always has an eclectic mix of CDs spinning. While its food gets mixed reviews, I’ve never had a poor experience there. The Chicken Curry Puff Pastry was no longer on the menu when I went in July and the offerings seemed a little more middle of the road, but the Flat Iron Steak ($15) at lunch was terrific. So was the music, which alone makes a visit worthwhile. 11 George Street. The Vineyards — In the basement at 54 York Street, this wine bistro also has an outstanding beer list. It’s also not nearly as crowded as the most of the other bars in the Market. Museums — Ottawa, of course, has loads of galleries that you must see at least once. Not the least of which is the National Gallery (380 Sussex Drive) . If you’ve never been, you need to go. It showcases the Canadian artists who’ve helped shape our heritage and culture — and not just the Group of Seven. You’ll find the best collection of work from Alex Colville, my favourite Canadian artist, and a diverse selection of others who may surprise you with the richness of arts community. Adult admission is $9, but there are several opportunities to enter for free; check the gallery website for details. The other must-see museums are the Canadian War Museum ($12 for adults; 1 Vimy Place; ) and the recently revamped Museum of Nature, where dinosaurs are the big draw. The exhibits are spectacular and fun. 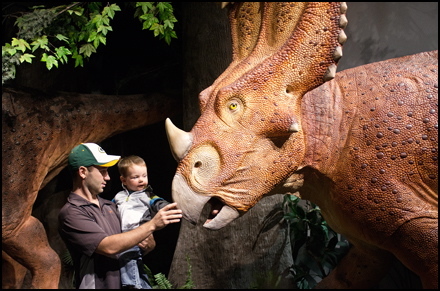 There are five floors of displays and special exhibits to take in, all with interactive elements that make the Nature museum a blast for kids. Adult admission: $10; $8 for kids 4-12; free for kids 3 and younger. 240 McLeod Street. Live Music — Ottawa has one of the best music scenes in the country. The Bluesfest is considered one of the top music festivals in the world and there are a number of blues clubs in the city. You’ll hear great music in the Byward Market on most nights. Best bet is to wander around and find something that catches your ear. Farmers’ Markets — Some great food is coming out of Ottawa and you’ll find lots of it at the neighbourhood markets, when they’re in session. The Parkdale Market (at Parkdale and Wellington) is where you’ll find the Savour Ottawa retail space that features farmers who grow and raise all of their produce, meat and game. They include the hugely successful Bryson Farms, Hall’s apple pies and cheese producers from the Gatineau region of Quebec. The Glebe market near Lansdowne Park is also worth a visit. Get more info on the markets at this website. NOTE: All photos are copyrighted from Julia Pelish Photography. All written material copyrighted by Adrian Brijbassi.